Google never fails to make its users happy when it comes to celebrating the holiday season . 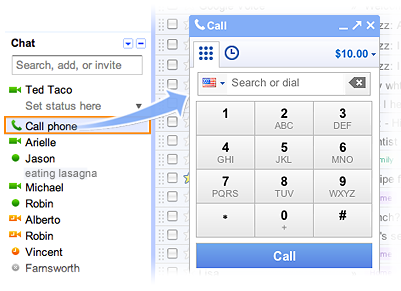 Gmail integrates a chat with a voice call plugin using which one can place voice calls throughout the globe. However, this service was available for free throughout the United States and Canada. Google recently announced in a blog post , that people who use this facility would be able to do so for free throughout the next year . Thus 2013 just got better for all users as not only domestic users in North America just got another year of free calling but also all international calls got new subsided rates. Happy Calling !